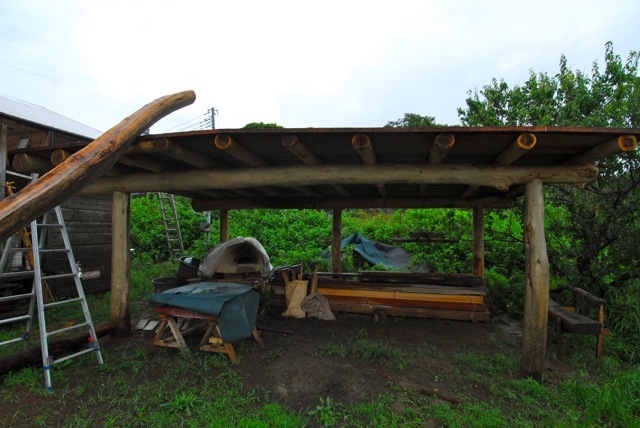 If you’re in Japan and you’re interested in permaculture, you need to meet Phil Cashman and see what he’s doing at Permaculture Awa Farm and Dojo in Wada on the Chiba Prefecture coast. 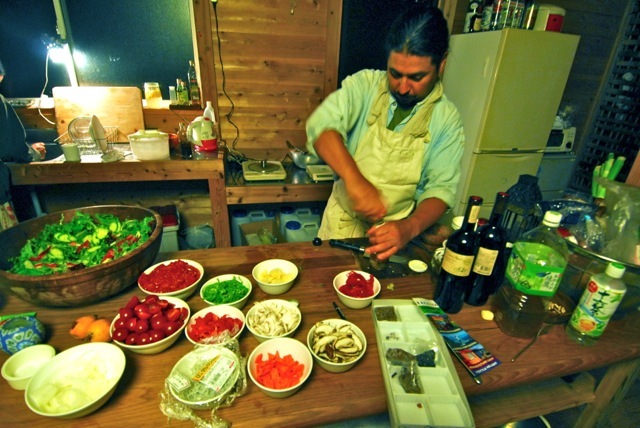 Bilingual Cashman studied permaculture in 2007 with the godfather of permaculture Bill Mollison and his protégé Geoff Lawton at Melbourne University in Australia. 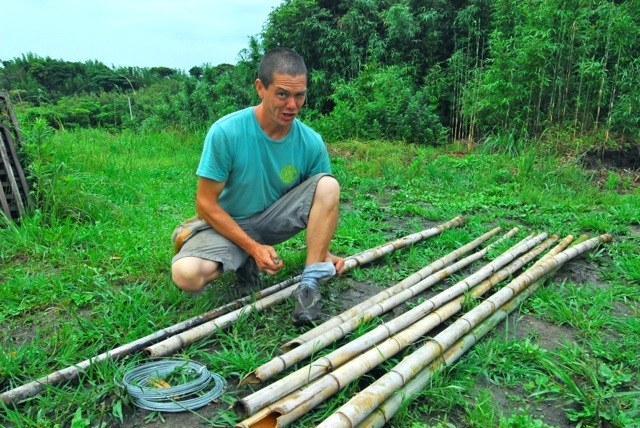 Since then, he has been on a mission to develop his knowledge of natural farming techniques and associated skills and has become a consummate permaculture practitioner. 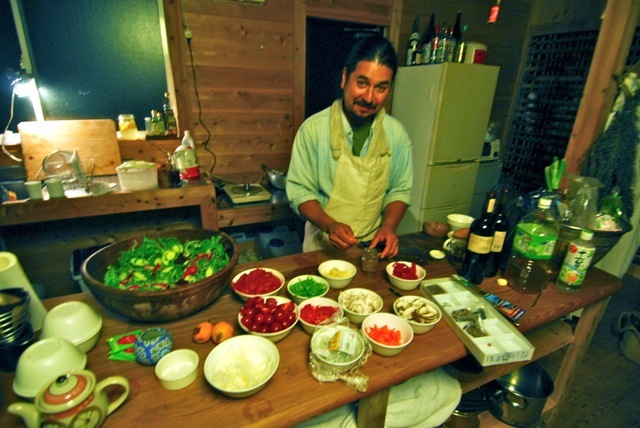 Cashman has worked on numerous permaculture projects around Japan, including helping people in tsunami stricken Fukushima to rebuild their lives and return to food production. 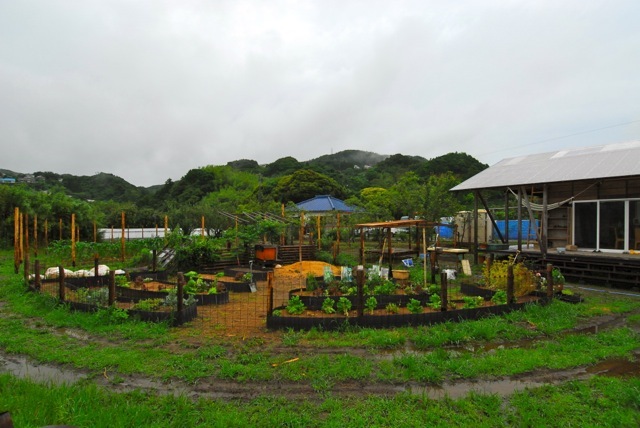 He has also developed his home permaculture farm in Hayama, Kanagawa Prefecture as an exhibition farm to show the possibilities of permaculture and in the process feed himself and his family with top quality, locally grown organic fruit and vegetables. 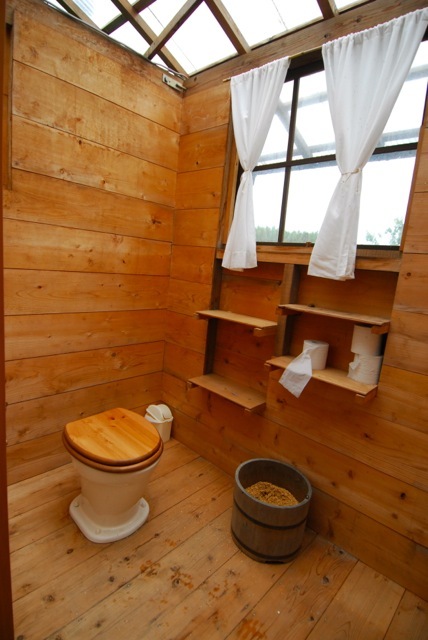 He studied the art of Japanese natural beekeeping with aparian grandmaster Asakazu Tominaga in Nagano Prefecture and has become a specialist in natural beekeeping and natural honey production. 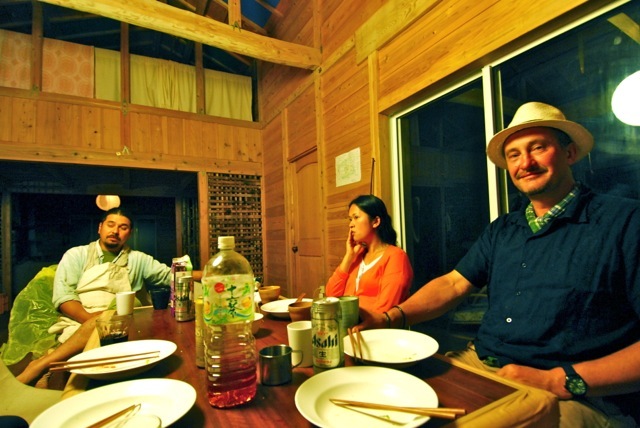 Cashman offers workshops in beekeeping as well as other aspects of permaculture at the Permaculture Dojo in Wada, which is about 2 hours from Tokyo by train. 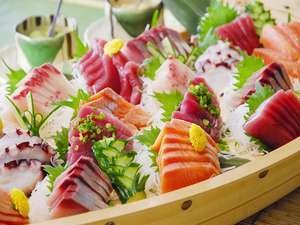 Wada is a popular summer holiday destination for Tokyoites and is famous for its surf beaches, hot spring onsens, fine isakaya restaurants, fresh farm produce and seafood and beautiful coastal scenery. At Permaculture Awa Farm and Dojo, Cashman and his permaculture team offer a range of courses from introductory workshops for beginners, practical classes and exhibitions for kids, more advanced specialist courses for people with permaculture experience, through to a complete two-week Permaculture Design Course, which is the foundation of all permaculture studies worldwide. 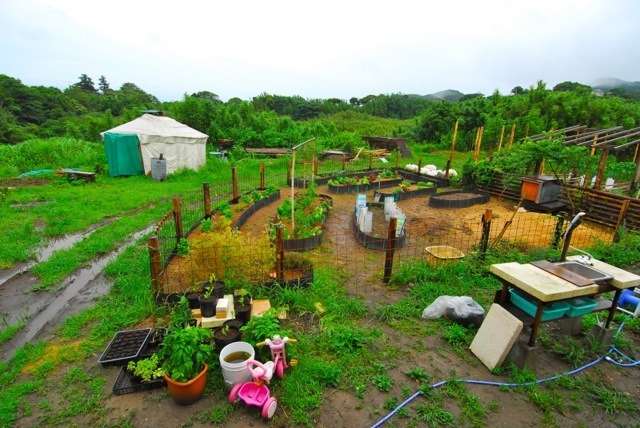 Permaculture Awa is on a one-acre developing permaculture farm that provides live-in opportunities for students to gain invaluable hands-on experience and put permaculture theory into practice to gain the practical knowledge necessary to apply the skills to their own projects. 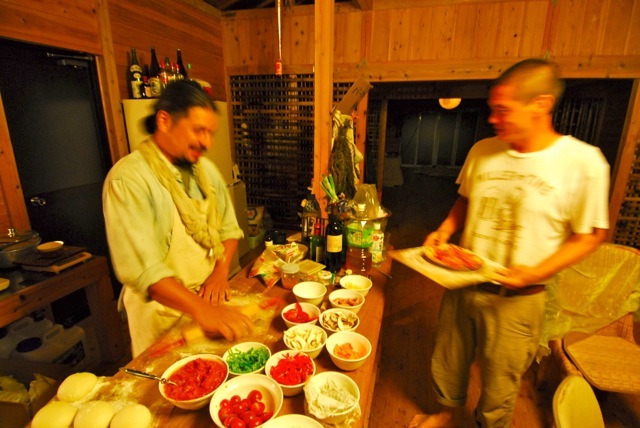 Participants in workshops at the farm over several days can stay at the Permaculture Dojo for the duration of the course and enjoy food from the farm. 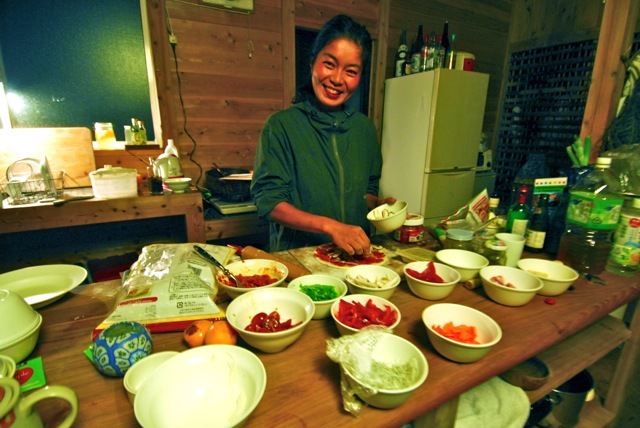 The farm has a small orchard, a large vegetable garden, composting area, worm farm, composting toilet, cob oven, yurt, rocket stove and an interesting hugelkultur project that incorporates a playground for children, including a long wooden slide made by natural playground specialist Yoshihiro Benjamin Iida. 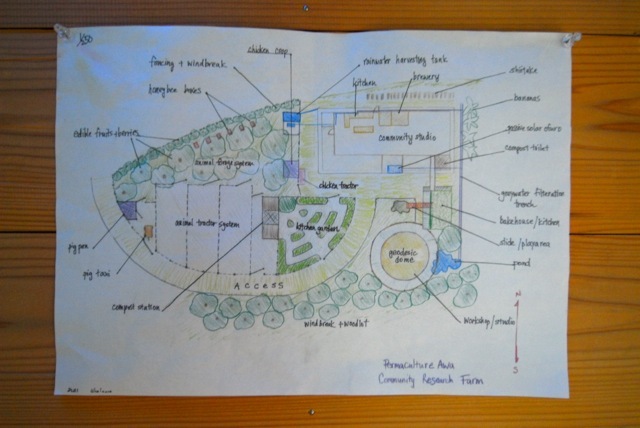 Permaculture Design for Permaculture Awa Farm…A blueprint for the future. 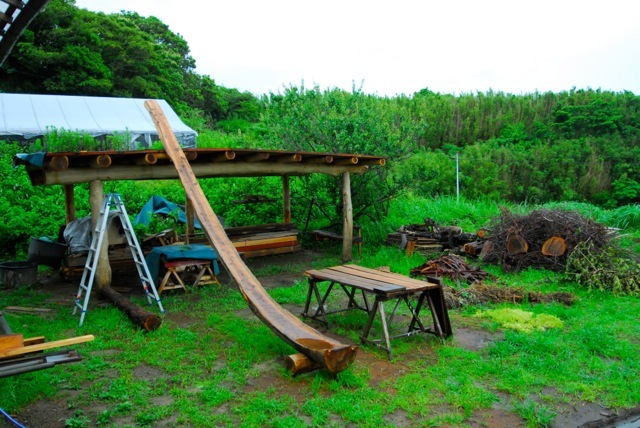 Wooden Slide built by natural playground construction specialist Yoshihiro Ida. The Dojo building was originally built as a yoga studio and is a large wooden structure that can comfortably sleep 20 people. 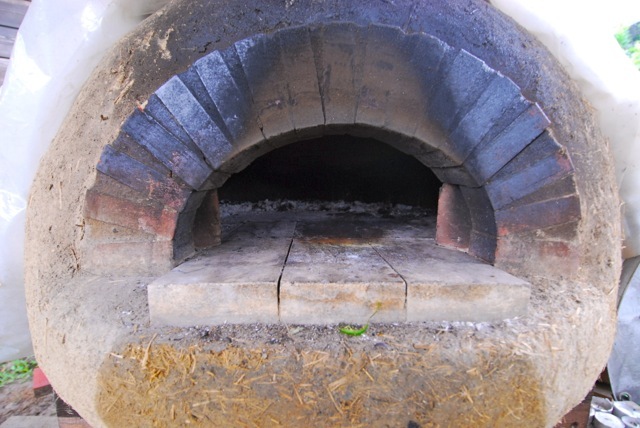 The courses on offer include accommodation and in the evenings, Cashman and the crew often fire up the cob oven to bake bread for the morning and make delicious wood-fired pizzas for dinner. 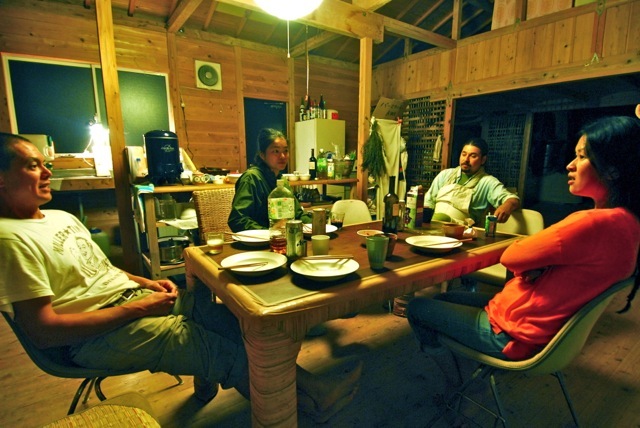 Eating pizza, drinking beer and sitting around in the pleasant comfort of the Permaculture Dojo and chatting with interesting people from all around the world is surely one of the best ways to finish a productive day learning about permaculture, natural farming and other aspects of living well. Cashman takes a long view on life and considers permaculture a positive way to secure a high quality of life for himself, his family and generations to come. “I want my kids’ grandchildren to be healthy and happy,” he said and is working toward that end by establishing Permaclture Awa Farm. 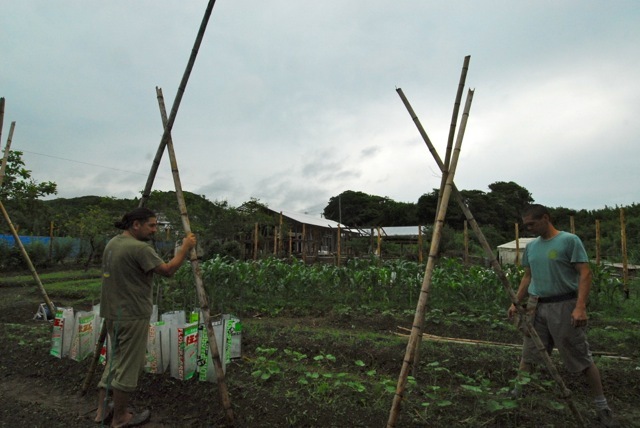 The farm will provide for a self-sufficient lifestyle for his family and the people working with him. 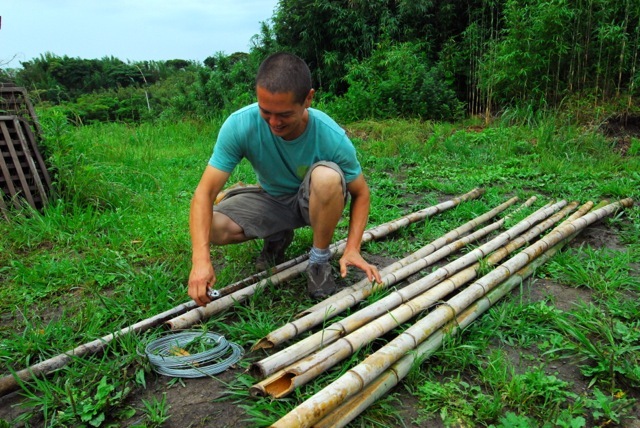 His ongoing quest for knowledge and skills in sustainable living and his willingness to share his experience with others is what makes Permaculture Awa so special. 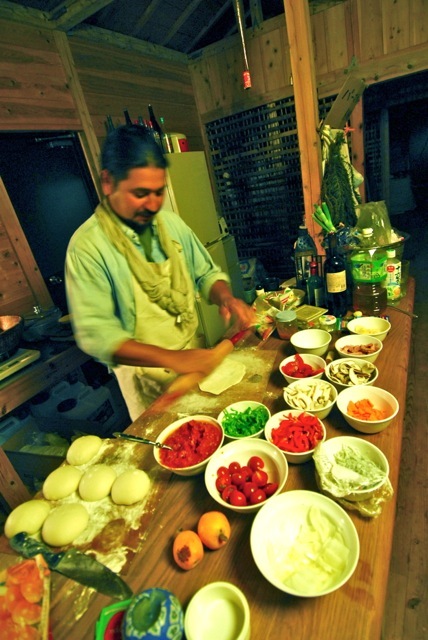 A passionate teacher with a high level of competence in all aspects of permaculture make Cashman an inspiring and and motivating influence in all who meet him. 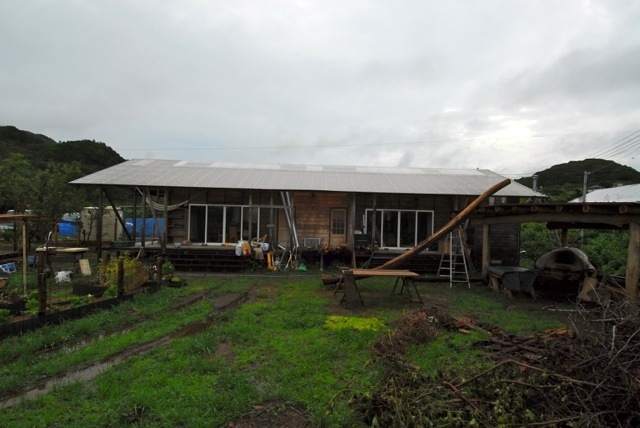 “I want to make Permaculture Awa the best permaculture exhibition farm in the world so that people can come and see the possibilities, learn as much as they can and then go and spread the word through their own projects,” he said. Be prepared to laugh while you work with Phil Cashman…He FUNNY! So if you want to learn anything about permaculture, if you are an experience practitioner wanting to further refine your knowledge, or if you are just beginning on you permaculture quest, if you speak Japanese or English, get in touch with Phil Cashman as he will light up your mind with his passion for permaculture and lift your spirits with positive future possibilities for a high quality of life for you and your family. Permaculture Awa is small link in a global network of people designing practical solutions for the better health of people and the environment. We practice and teach Permaculture Design so our communities can get empowered to be the change they want to see. Lets work together and create a healthier, more peaceful and resilient future for our descendants. 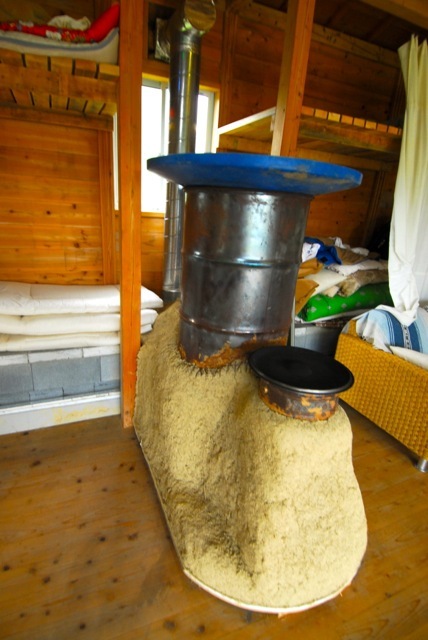 This entry was posted in Business, Children, DIY, Economics, Education, Environment, Japan, LivinginPeace Project, Money, Permaculture, Photography, Politics, Product review, Social Commentary, Sustainablity, Travel, Uncategorized and tagged Agriculture, Bill Mollison, Chiba Prefecture, Children, Cob Oven, Compost Toilet, Composting, education, Food Production, Future, Japan, Natural Building, Natural Playground, Permaculture, Permaculture Awa, Phil Cashman, Resilience, Rocket Stove, Self-Sufficiency, Sustainability, Travel, Wada, Wood-Fired Pizza, Workshops. Bookmark the permalink. 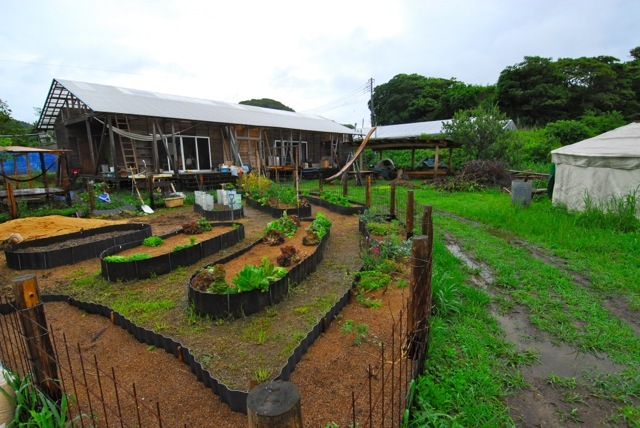 I just spent a Sunday at Phil’s home & permaculture project in Hayama, helping out in the garden. As ever, Phil is an inspiration and joy to learn from and I left in the late afternoon tired, but enrichened & ancouraged with new knowledge. 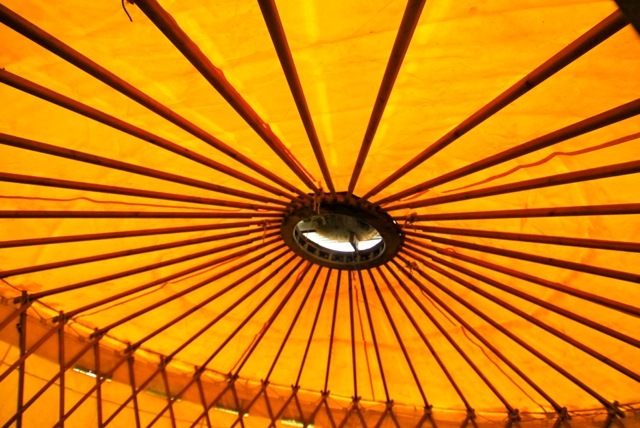 Looking forward to the workshop at Permaculture Awa this weekend! Good Oh Miguel…you GO Guy! Phil is one of my Favourite Permies in the world, and he happens to live in my favourite country. How good is that! 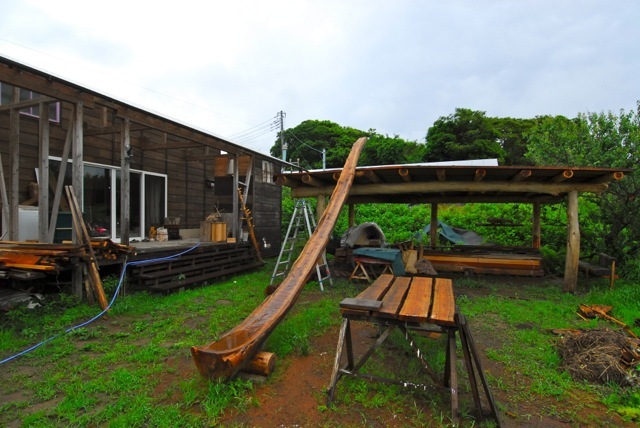 One day I took the sponsors of my community garden project to view his house, a kind of timber-disneyland of permaculture. It was like watching stars come out, seeing them so excited, finally understanding how my lovely ideas looked in reality. They hired him right away.